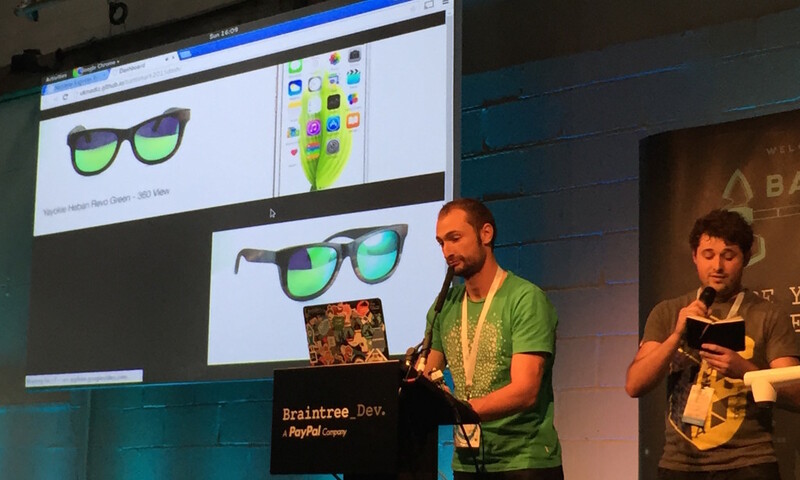 After consuming almost 3 days worth Red Bull in 24 hours (or a normal amount for a developer) BattleHack London, hosted by Braintree and PayPal, ended with @Risk being announced the winners. This was a great win for the @Risk team, as well as a great win for Localz, as @Risk had used our technology to enable location triggers to monitor loved ones that may live alone or in a remote area. This was the first time Localz has partnered with BattleHack in London, which brought together amazing teams from all over Europe. Over 200 people were in attendance, many queuing out the door from 7am on Saturday morning for a chance to win USD$100,000. The Localz London team were extremely excited to participate as partners, to help teams work awesome location hacks and services into their hacks, as well as being involved in an event were everyone was creating something for Social Good. The doors opened promptly at 10am and the hacks were ceremoniously started at 1pm by the King (or princess?) 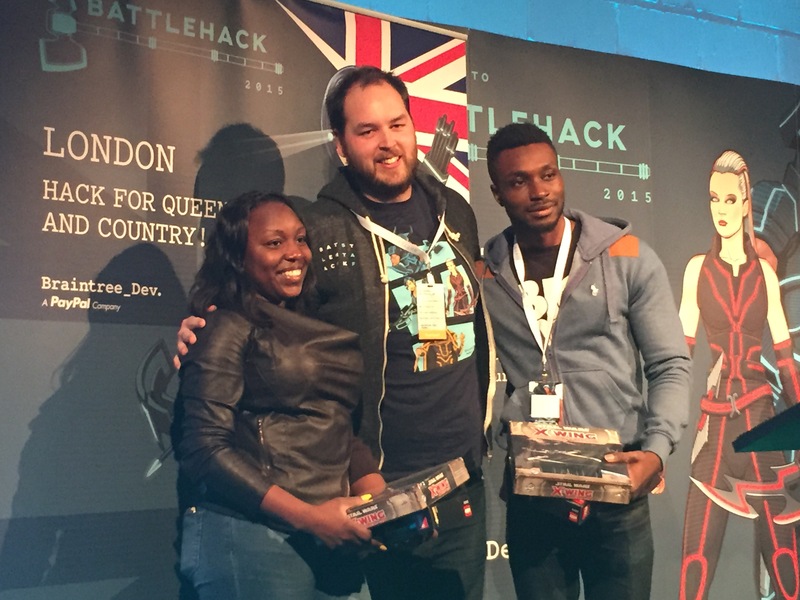 of BattleHack MCs, Cristiano Betta. From then on, teams were battling against the ever looming countdown to produce the most innovative hacks using partner APIs and services. We were on site for (almost) all of the 24 hours helping the teams using our tech, and letting them teach us about new ways they could use our services. We received a lot of feedback from the teams, which was great for us as we’re mostly developers and appreciate the comments being made. When a team emailed us at 1am during the night to ask about a particular niche use case using our Android integration hook, our team was geared up in Australia to start thinking about production changes to support the team at BattleHack. All of us at Localz have been at hackathons before and knew the pressure to deliver and innovate, we wanted to support their efforts as best we could. After even more Red Bull and sugar, 1pm loomed before the gong was rang to signal hands down, and a final git push. During the presentations, there was amazing talent shown with ideas ranging from an insect detector that used sound frequencies, to a Minority Report advertising screens by last years MOAR Axes. MOAR Axes with Minority Report style advertising screens. We had a hard time picking the winner for our tech, but our winner was Crowdless, which used our geo-fencing and beacon technology to detect how many attendees are at a venue and provide real time updates of venue capacity. We liked the integration that was built off the back of this, which included a real-time heat map of places in the area. Almost as soon as it started, the event wrapped up with the winners and the final awards ceremony. We saw the overall winners @Risk crowned as London’s best, who will be heading to Silicon Valley at the end of the year to compete for the global prize. Hopefully we’ll see more of them at the finals, and hopefully more ways to use Localz technology.